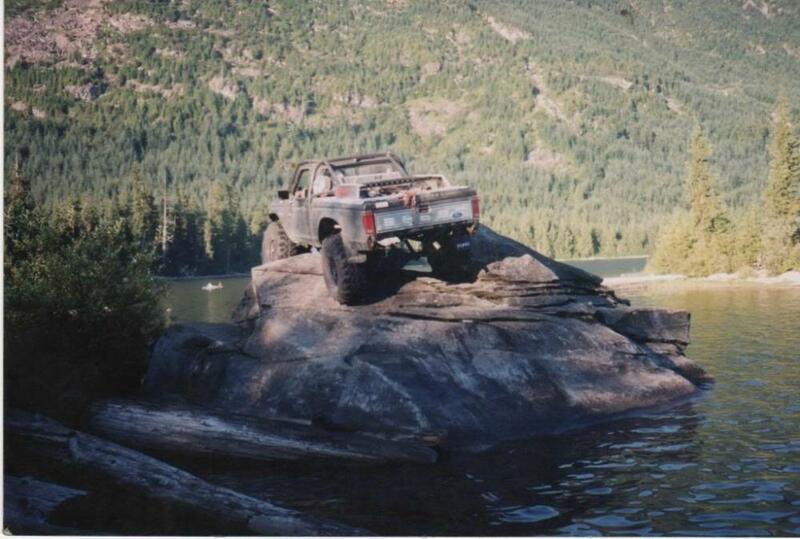 One of the most bizarre Ford Rangers to ever show up on The Ranger Station has been this 1986 Ford Ranger 4×4 owned and built by forum member Gwaii. 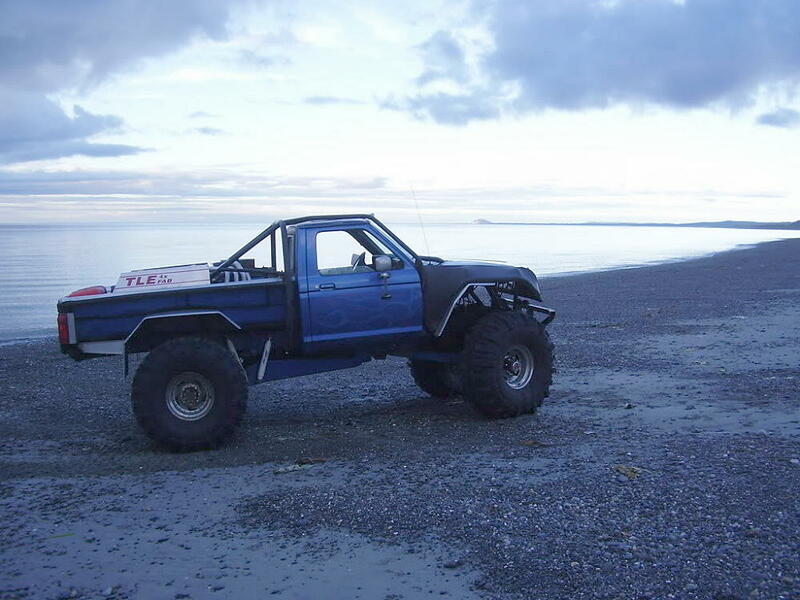 It actually started out as a 2.3L 4-cylinder 2WD Ford Ranger, but by the second day, Gwaii was tired of only having 2WD. 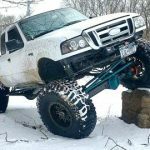 He quickly began swapping in a Dana 44 TTB front axle, a 9-inch Ford rear, and a 4WD transmission. 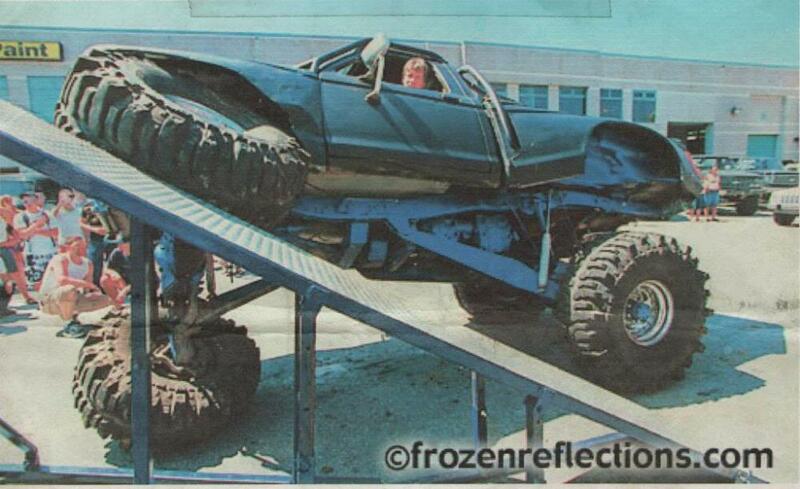 By day three, he had a 4×4 Ford Ranger. 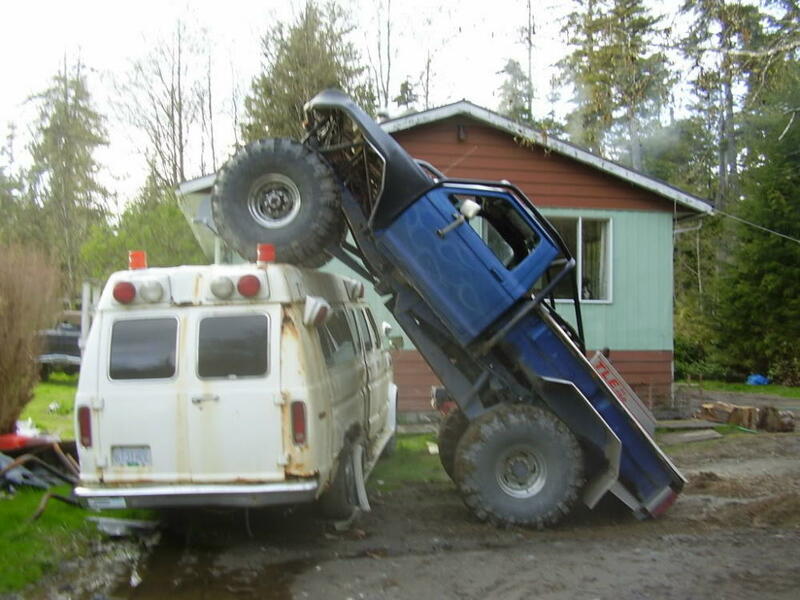 Gwaii said he couldn’t afford gears and a fancy transfer case, but he had a crazy idea about stacking transmissions. 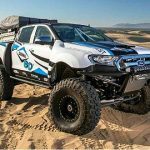 Gwaii came across a deal on a Dana 50 TTB and Ford 10.25 axle. 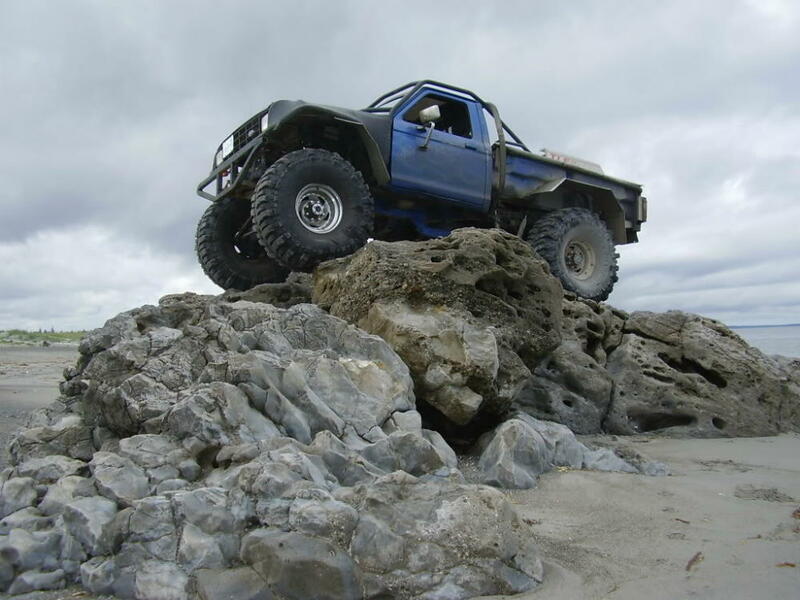 Gwaii swapped in the Dana 50, but the gears in the Ford 10.25 were junk. Not wanting to waste the good parts left in the 10.25, Gwaii swapped the full floaters on to the Ford 9-inch. 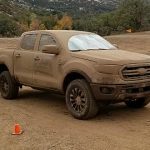 The Ranger went from the 2.3L, to a 2.9L V6, and then a 302 V8. 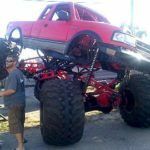 The truck kept growing like a mutant beast, and eventually ended up with a 460 CID heart of a beast mounted in the bed. 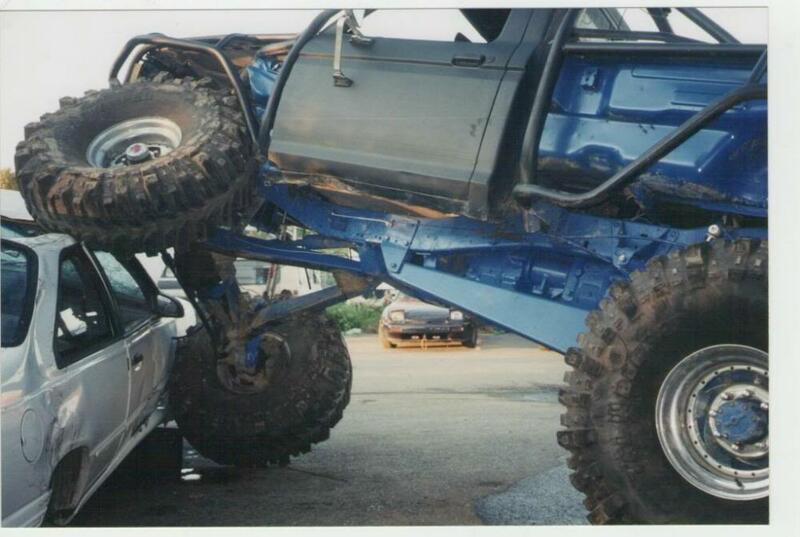 The Twin Traction Beam was starting to limit flex, so Gwaii welded the Dana 50 TTB together to form a solid front axle. A new issue was the radius arms. With one going up and the other going down, it twisted the front end so much, he had the alignment going out all of the time. 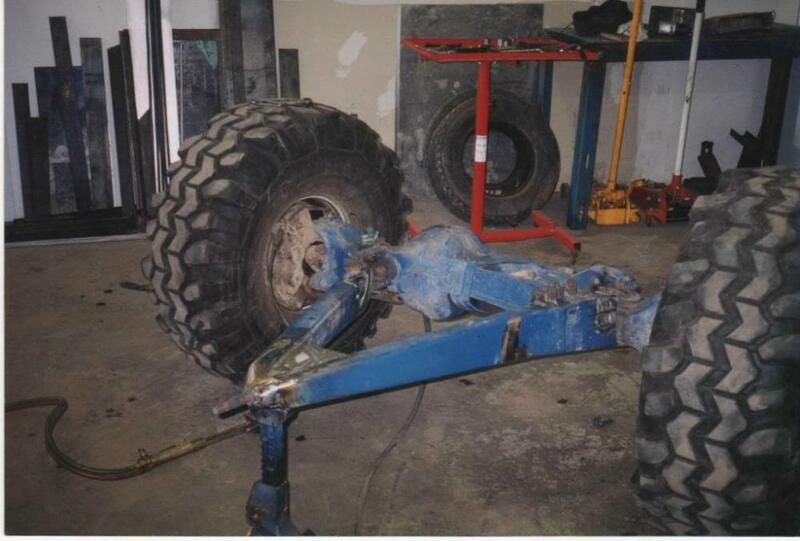 His solution was to pull the radius arms together, and weld a pivot on the junction. 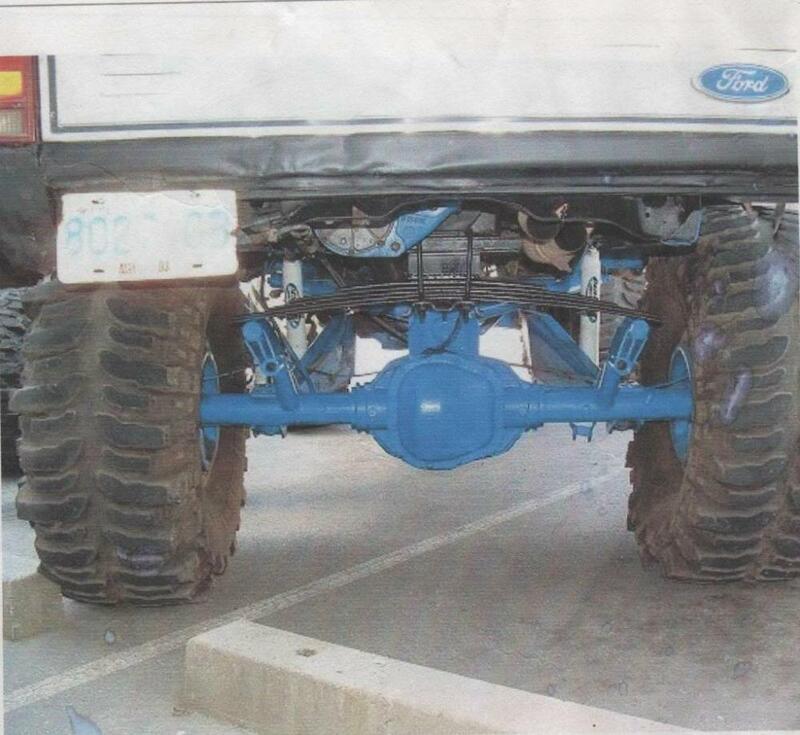 The rear suspension was built with links, but instead of using rear coils, he used a single leaf pack mounted parallel to the rear axle. 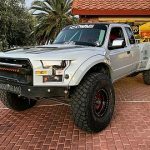 So what is that crazy transmission and transfer case setup? 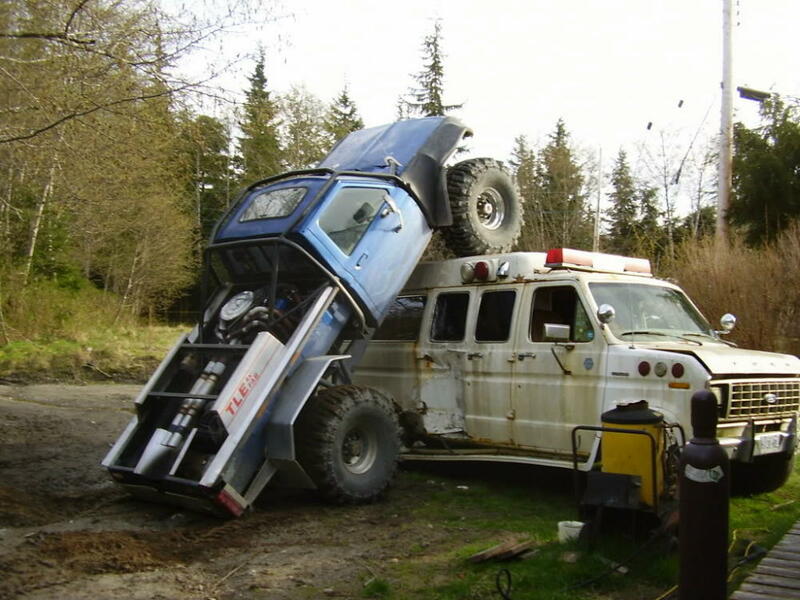 The 460 V8 is mated to a C6 automatic, and NP205 transfer case. The NP205 feeds dual NP435 transmissions, and another NP205. 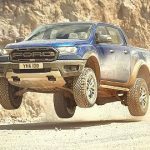 That final NP205 feeds the final power output to the Ford 9-inch rear, and Dana 50 front. Below is a drawing of the schematics for a revised version of the truck that will use a ZF manual transmission, Ford 10.25 inch rear, and Dana 60 front. It gives you a visual idea of how all of these cases are stacked together. This new setup will have a final drive of 5146:1 with a final drive of 6146:1. 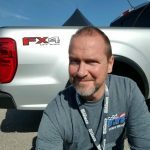 This results in a tire rotation time at 750 RPM of 8.2 minutes. 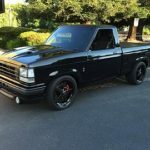 If you want all of the specifics on this build, and want to see more photos, click HERE.